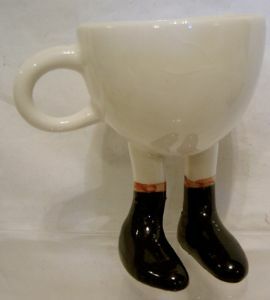 This is a 'Left-Handed' Cup with black shoes and red sock tops. The Walking Backstamp is on the rear of the cup. The basic height is just over 4 inches (10 cms) tall. It is in excellent condition with just a touch of light crazing.